Weapons charges can be very serious charges to face. For those who have been convicted of a felony previously, possession of a firearm can lead to state or federal criminal charges. In state court, you will be looking at a mandatory minimum prison sentence of 10 to 20 years. In either state or federal court, you will be facing severe penalties. Apart from the severity of the consequences that you can face as a felon in possession of a firearm, another remarkable aspect is the ease with which such a charge can be applied to you. If the police can in any way make a convincing case that you had a gun in your possession, you will be charged. The gun may simply have been in the same house or vehicle as you were in to qualify as being in your possession. Ownership of a firearm is irrelevant. Someone else may own the weapon, but if you are in possession, you may be charged. Possession includes constructive possession, which means any firearm which is in your care, custody or control. 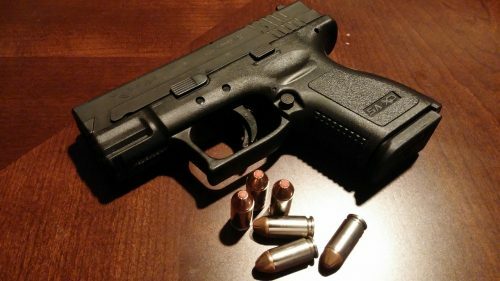 At the Law Office of Robert S. Toale, our New Orleans gun crimes attorney has been providing highly skilled and compassionate criminal defense for gun possession charges and all other weapons charges. With 30 years of courtroom experience to guide our defense of your case, we can construct effective legal strategies that are designed to create the best possible results for you. If you have been charged as a felon in possession of a firearm, where you have been charged makes a difference. Depending on where you are charged, you may be indicted in federal court, rather than state court. We are familiar with the way these charges are handled in Orleans Parish, Jefferson Parish, Plaquemines Parish and St. Charles Parish. Our extensive experience in both state and federal courts means that we will be able to provide you with exceptional criminal defense in either court. Our Gretna gun charge attorneys also defend clients against other charges such as the illegal discharge of a firearm. If you are facing weapons charges in Southern Louisiana, let our decades of experience create a solid defense for you. Call 504-368-8440 or simply contact us online to schedule your initial consultation. We accept Visa and MasterCard for the convenience of our clients.